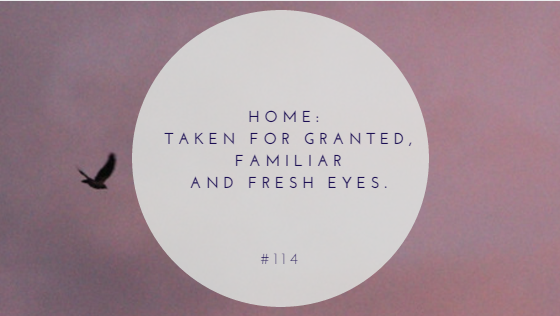 Home: Taken for Granted, Familiar and Fresh Eyes. If you don't count the ten days in between coming home to Ireland from America and leaving again for Belgium, then it's going on seven months since I've been living in Ireland properly. Don't get me wrong, some of my peers in college have been gone almost eleven months, but this is my experience. It's now, in November 2016 with over a month left to go, that I find myself desperately longing for home. I am finding more and more that I am desperate to hear the laugh of my little cousin or hear my grandmother tell me stories of an Ireland I will never experience. The little things. Naturally over ninety percent of my Facebook friends live in Ireland so I am never unaware of the latest trend or news story in Ireland. For that I am so glad, because in America it was easier to get swallowed up by the goings on in that eccentric country. I think perhaps that it's seeing photos of my friends at home that make me yearn for a world of the familiar. Sometimes it's incredibly lonely over here in Belgium even though I have created a beautiful circle of people here. I am often reminded in little ways of how I have ties to a little island on the far side of Europe, a beautiful little island battered by the Atlantic Ocean. Writing those words makes me oddly emotional. Each time I pass the Irish pub that is situated near where I live here in Ghent, I find myself so proud. As I write this post, I am listening to a lovely little song called "Better Days", and it's soothing my homesickness for now. The past few days I have really wanted the company of my mother and her positive and powerful approach to life. Or my father, with his jokes and love of beautiful musicians and the respect of the land we live on that he passed down to me. I don't like that I am missing out on my little sister growing up and seeing what she's getting up to. By the time I return to Ireland I will have a new cousin. Things are happening and I am not there to see it. But then again, I am creating my own world, my own memories and crafting a life for myself here abroad. Not that I don't mind explaining Irishisms, I just miss the banter and how I used to spend my time having slagging battles with my friends in the most Irish of ways. More than once I've had friends say I am the most Irish person they know and while I don't know exactly what they mean by this, I don't think it's a bad thing. I am proud of where I come from. Don't get me wrong, Ireland has its flaws, but any time I see or hear Ireland mentioned in any piece of literature, film or news makes me so proud. I find myself devouring any piece of footage of Ireland, be it footage from photographers I follow on the internet or music videos. While living in a city here in Belgium I have discovered that open spaces are still dear to me, I think of the Burren or the Kerry mountains all the time with it's rugged, otherworldly beauty and even of places closer to my own home. You miss what you're used to I suppose in a way. You learn a lot more about yourself and what kind of person you are the more you travel. This I knew would happen, but now that I am experiencing it is both terrifying and amazing all at once. I have been in America , Belgium, France, The Netherlands and Germany in the space of three months. I never expected this and I am in love with the all the different cultures I have gotten a taste of. No matter where I go in Europe here, despite loving Belgium so much, I never forget the country of my birth. I am hoping that when I go home the novelty will not wear off too soon. I want to be able to look at my home with fresh eyes and appreciate it for the good that it has. My father said to me, Ireland will be too small for me when I go home and I sincerely hope that is not the case. 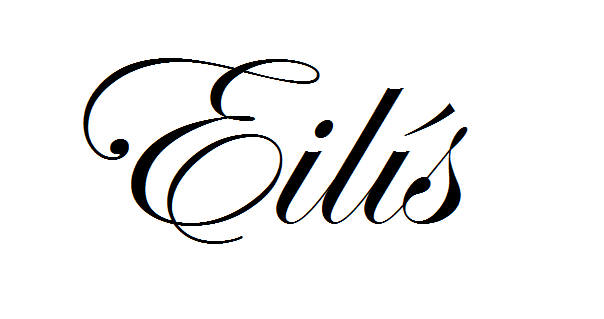 However I know that it will not be the same Eilís who will return to the country of the greenest fields. I think I am more open to all that I am not used to. It used to terrify me but now the prospect excites me. I like to think I see the world through new eyes and emphathize more with those around me. I am also starting to believe in my own self worth, which is a magical thing. I think what I am trying to tell myself is that I took home for granted, I don't appreciate enough what my family and friends do for me. That needs to change and I am glad I have seen that now. I suppose being away, or perhaps seeing home from a new perspective was something I needed in order to appreciate better what I have. Thanks so much for reading! It's amazing how places can have an impact on us, or even leaving home. All about perspective. I am learning so much about myself and others by travelling - long may it last. Best of luck with your own journey too! Amsterdam: History, Culture and Peep Shows?